It’s too bad that for Fire Record’s last and latest Pere Ubu boxset of the band’s “Fontana Years” that somehow the album Story of My Life got left out or they could have titled the set Flaming Watermelons from Dallas, Texas (from that album’s ‘Postcard’). Instead we get a line from the title track to Worlds in Collision to serve as the boxset’s nom de guerre - Les Haricots Sont Pas Salés. I only know that haricots translates to beans from seeing one too many hoity toity restaurant menus trying to get fancy or somehow disguise the green beans you just ordered as a side dish. Here the phrase translates to “the beans aren’t salty”, which has little to do with anything here, but is apparently where the Louisiana Creoles derived the term for zydeco music. 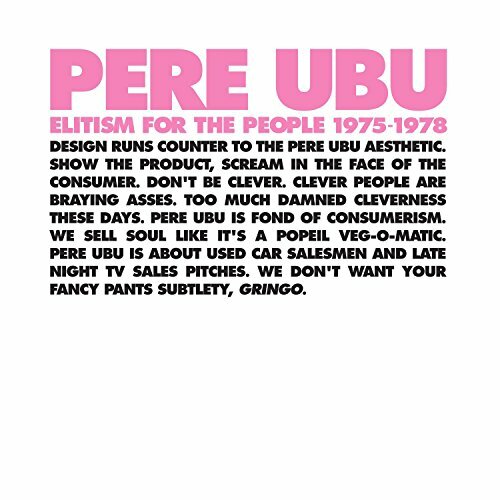 It seems like the etymology of the phrase has more to do with being too poor to salt your beans rather than anything approaching a similar sound, but Pere Ubu has enough wealth to at least provide a variety of spice over the course of the four albums that appear here. What you do get is three expertly remastered versions of the band’s mid-period and “poppier” (though this isn’t exactly The Thompson Twins) albums. Namely included are The Tenement Year, Cloudland, Worlds in Collision, and an album of outtakes and demos that include the start of what the band and their fans refer to as The Lost Album. Sadly, long time Ubu sound engineer Paul Hamann would pass away shortly after remastering this set, but he put a noble effort forth here to serve as part of his legacy. After a long early to mid 80s hiatus, during which band leader and sole constant David Thomas recorded several solo albums, Pere Ubu returned almost fully reconstituted for 1988’s The Tenement Year. Earlier guitarist Tom Herman is replaced by Jim Jones here, but the balance of the core band from their debut, The Modern Dance, is all here and also joined by additional drummer/percussionist Chris Cutler. Whereas Thomas’ preceding Blame the Messenger was decidedly an oddball solo release even though most of the band was involved, Tenement arrives with all the ferocity of a band fully recharged and refreshed. Most notable is synth and sometimes sax player Allen Ravenstine’s stamp on the proceedings. Clearly given no boundaries to operate within, Ravenstine runs like a kid let loose on a playground after a week of being snowbound. Ravenstine is so irrepressible that even on the one track, ‘Dream the Moon’, where you think Jones and bassist Tony Maimone are going to finally reign supreme, Ravenstine arrives with his old school synths to battle it out with them in the closing minutes. It’s a display of man vs. machine that wouldn’t be duplicated until Yoshimi battled the Pink Robots a decade and a half later. Ravenstine in fact becomes the central story of the three previously released albums in the set: he is Ubu’s standard bearer on Tenement, buried somewhere in the mix on Cloudland, and gone by Worlds in Collision. Not to necessarily say that as goes Ravenstine so goes the band, but his contribution or lack thereof is clearly a differentiating factor. Hamann chops a few knob twisting seconds off the beginning of Tenement’s opening track ‘Something’s Gotta Give’, to give it more immediacy and from there it’s off to the races for the balance of the album. With a renewed energy not seen since decades old The Modern Dance and Dub Housing, it’s hard not to get caught up and go along for the ride. The visceral stomp of the opener hides a story of barely contained flood waters and Thomas’ line about “flaps flippin’ out of slots every which a way” is a good proxy for the anything goes style deployed over the course of the album’s eleven tracks. The updated mix also benefits the songs that have a lot going on like the jungle surf of ‘Talk to Me’ where clearly the noisemaker crank comes in earlier than the original and is pronounced along with the woodblock chatter and Ravenstine’s sax skronk. The melodeon driven ‘Busman’s Honeymoon’ and energetic ‘Miss You’ are other standouts and speak to the album’s themes of long walks home, lonely highways and being “always in love, always alone”. ‘Universal Vibration’ showcases the band in another battle for dominance, while the sentimentally toned closer ‘We Have the Technology’ evidences the human side of Ravenstine’s wiggly blips and bleeps cooperating for a moment. Tenement’s gloriously updated sound lets the listener explore every nook and cranny of one of Ubu’s clear career high water marks. Sticking with the theme of man vs. machine for a moment, Hamann does all he can to tame the monster that is the reverb drum sound of 1989’s Cloudland. In fairness, the band did resist the trend to incorporate the “modern” drum sound of the day for almost a decade, but with outside producer Stephen Hague on board they for once bent to fashion. Hamann does succeed in taking the drums on ‘Ice Cream Truck’ from ear drum bursting to only mildly concussive but without totally re-recording things the “big drum” sound persists over most of the album. Thirty years on and viewed from that lens, Cloudland, ends up sounding the most dated of the albums here and with the production swamping Ravenstine’s contribution it’s no wonder he departed after this to become a commercial airline pilot. The pop leanings of the album are fine and make for the band’s most accessible album, but accessibility has never been the band’s mantra. The opener, ‘Breath’ showcases the new sound with the noted drums on overdrive and doo-wop backing vocals, but does have a great hook and Thomas has no trouble fitting in to a more mainstream sound. The album also houses Pere Ubu’s only charting single, ‘Waiting for Mary’ with it’s catchy guttural chorus and tick tock rhythms it stands out with the band at its energetic best. In spite of Ravenstine being given a few moments above the fray on ‘Love Love Love’ the song comes off as the most slickly produced and stands as testimony to the opening sentence on the paragraph blurb on the front of the Les Haricots boxset - “Culture is a weapon that’s used against us” and clearly here it was. We likes our precious Ubu as a weapon used against culture, not the other way around. ‘Flat’ ominously and fortuitously overpowers the production and stands out as more timeless with Thomas’ humor in tact - in 82,000 square miles of Kansas flat two cars manage to crash into each other. That along with ‘Monday Night’ pushed to the closing song lets the final third of the album revert to something less slick with Ravenstine being allowed to flit around a crooned Thomas waltz as a fitting swan song. Famed producer Gil Norton, who had worked with the Pixies shortly before, was brought on to produce Worlds in Collision. In hindsight, this today feels more of a crossover success than the across the board slickness of Cloudland. Worlds in Collision is a great title given the first half, now fittingly including ‘Don’t Look Back’, is a half dozen more mainstream and like minded pop songs. 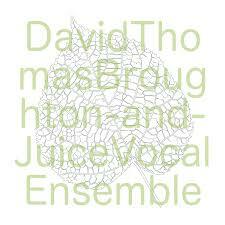 While the second half of the album shows Thomas and the band trying their hand at most any style imaginable with solid success on most. ‘Turpentine!’ with its colorful polyrhythms and environmental concerns is a first half standout, as is ‘Goodnight Irene’ where Thomas sounds confident on a fairly straightforward mid-tempo rocker with a strong chorus. The “what might have been” themes of ‘Oh Catherine’ and ‘Don’t Look Back’ have fairly mainstream relationship concerns and the former even has acoustic guitars and a real bridge - really out there for this band! If the first half is a successful batch of pop rock Ubu-style, the second half of the album shows Thomas and the band downright giddy skipping from style to style. From the racing Batman theme backed funk breakdown of the title song all the way to the steel drum calypso of ‘Over the Moon’, Thomas seems comfortable, confident and in control. The melodeon driven waltz of ‘Cry Cry Cry’ is so much more successful than the prior albums triplicately titled ‘Love Love Love’ with Thomas’ gloriously whispered “make me a spectacle” showing how given over to the approach he is. The crazed polka of ‘Nobody Knows’ with the band’s call and response harmonies is just a heck of a lot of fun and the borrowed lyric of “nobody knows the troubles I’ve seen” comes off the opposite of a blues song. The closing bass heavy synth sweeps of ‘Winter in the Firelands’ recalls the gravity and scope of an Andrew Lloyd Weber Les Miserables outtake. Maybe Thomas was just more comfortable in a pop skin at this point, but for my money Worlds has held up better than Cloudland, sounds less dated, more loose, and given its historical oversight comes up the true lost, but gladly found, album of the set. The Lost Album itself consists of four demos that were intended for an album after Cloudland that was never completed, but the same four tracks were appended to a CD version of Worlds. They constitute the opening four songs here and show a confidence and energy that hearken back to Dub Housing. ‘Around the Fire’ with its Big Bopper-ish “don’t worry baby” warble stands out, as does the sax driven energy of ‘Like a Rolling Stone’ (no not a cover). There’s a line in ‘Around the Fire’ where Thomas says “stand by your man - that’s me” that expresses a self-doubt not seen since The Modern Dance which gives it some extra charm. There are a few songs pulled from CD extras off of Cloudland, with the downbeat ‘The Wire’ being the strongest. A different version of ‘Fedora Satellite II’ appeared on Story of My Life, but the one here is livelier as is the percussion fueled tribute to Van Dyke Parks, ‘Wine Dark Sparks’. The balance are rougher demos that show the more experimental side of the band, with ‘Bang the Drum’ essentially a Thomas solo act. All in all the tracks pulled together to constitute The Lost Album are worthwhile additions to the band’s legacy and if you haven’t already got them on other releases are worth seeking out. Having the Fontana releases reengineered and packaged together (even if Story of My Life somehow mysteriously disappeared in the four Fire Records boxsets that have now been released) form a more accessible entry point for most than even the bands earliest works. Ubu enthusiasts either embrace or ignore this phase, though Tenement was universally applauded, but it’s a part of their history that deserves the best preservation possible. And that’s exactly what Hamann did as one of his last acts. It also serves as a study for Ravenstine’s influence within the band with him ultimately replaced down the road by the equally capable Robert Wheeler who is still with them to this day. There’s something here for everyone and The Tenement Year along with the last half of Worlds in particular put quite a few spices in the pot. Individual ratings: The Tenement Year: 10; Cloudland: 7; Worlds in Collision: 8.5; The Lost Album: 8. And a special shoutout to my brother, Michael, for hooking me up with earlier versions of the tracks I didn't have already for thorough comparative analysis. And in full disclosure, he likes Cloudland better than me so no reason not to get this set!